In this tutorial you are going to learn how to create google news alert which will keep you informed about the latest news that’s relevant to you. 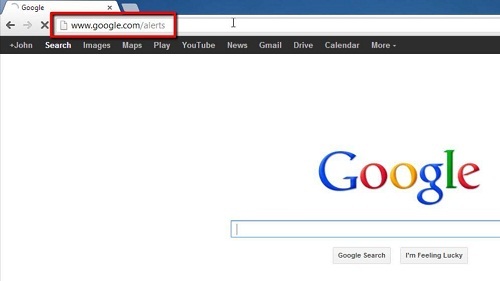 Visit “www.google.com/alerts” and make sure you are logged into your Google account; you can see if you are as your username will be visible in the top right of the page. On the left you will be able to see the various fields that will allow you to create your alert. 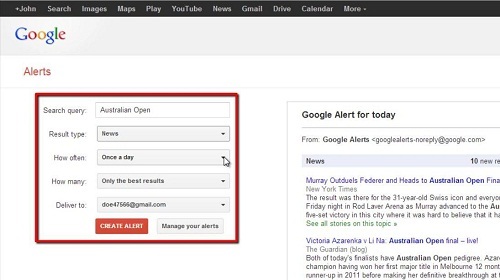 Enter the news item that you want to be informed about in the “Search query” box, in this example we are choosing “Australian Open”. Make sure that in “Result type” you select “News”, as this will limit your alerts to be just from news sources – not the entire web. Select how often you want to get alerts, how many you want, and where they will be delivered. Finally click “Create Alert”. Google will inform you that the alert has been successfully created and that is how to create google news alert.